This year TEDxSydney has partnered with Settlement Services International (SSI), a leading community-based not-for-profit organisation providing a range of services in the areas of refugee settlement, asylum seeker assistance, housing, multicultural foster care, disability support, youth and employment services in NSW. We introduced a pay it forward initiative for TEDxSydney 2018 that offers our members a way to give back to those that are often marginalised in our broader community by contributing to allow someone from the SSI community to attend the flagship event. SSI is a community organisation and social business that supports newcomers and other Australians to achieve their full potential. SSI works with all people who have experienced vulnerability, including refugees, people seeking asylum and culturally and linguistically diverse (CALD) communities, to build capacity and enable them to overcome inequality. 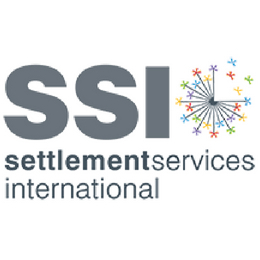 SSI draws on its expertise and experience to advocate for the people and communities it serves. Through the work they do, they empower people to change their lives. Through advocacy and representation, they influence ideas and policy.